It’s a brand new year and we all seemed to have braced the first few weeks back to work. Why is it so difficult to get back to work after a break? The struggle is real, but retail therapy for me is very soothing. So in order to beat the blues of getting back to the grind, I decided to splurge on myself with some shopping at my favorite mall - Legends Outlets Kansas City! 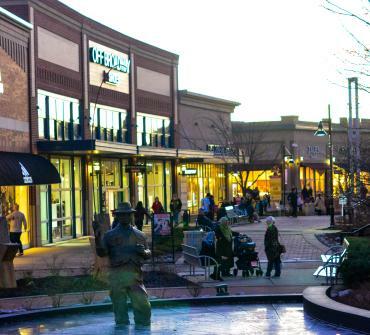 Living in the Kansas City metro area, we&apos;re lucky to have our very own outlet mall. Located in the Village West Area of Kansas City, KS, it is truly a favorite among locals and visitors. A premier outdoor shopping destination which boasts of a great lineup of brands, restaurants and entertainment options. 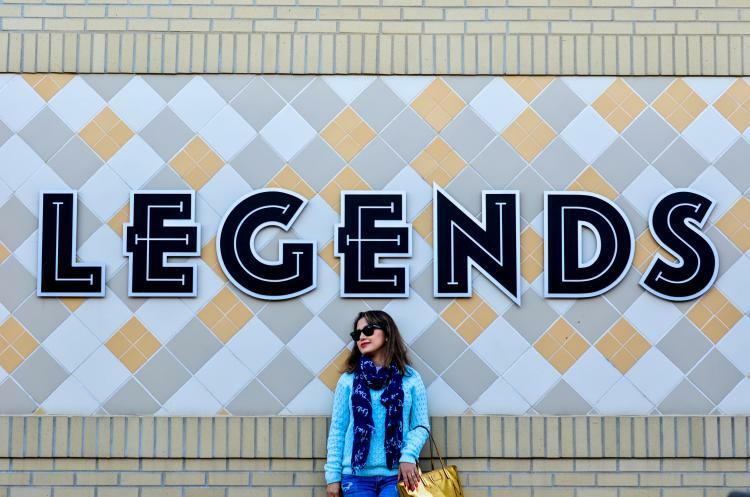 If the lineup was not already fantastic, Legends Outlets decided to add to its repertoire with some amazing new businesses in the past year. While I shopped my way to glory, I decided it would be a great idea to share all about the new names, which now call Legends Outlets home. Let&apos;s start things on a sweet note, shall we? 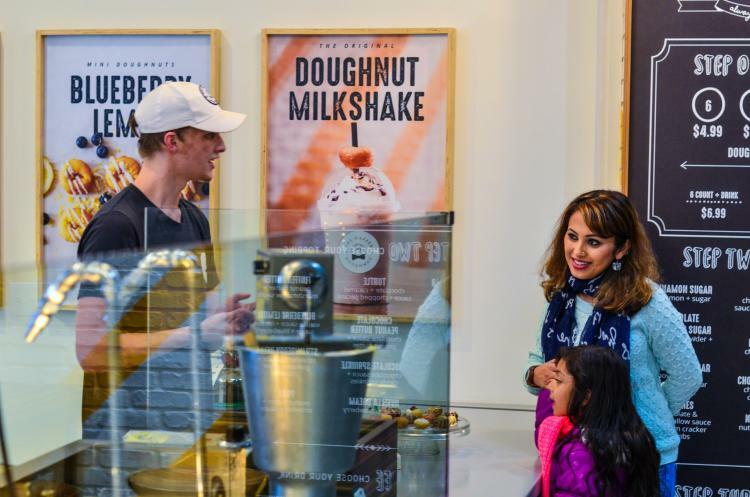 The Dapper Doughnut is one of the newer businesses in Legends Outlets, and it surely has created quite a fan following locally. The chain which, originated in Las Vegas, opened its first location in Kansas City in September. Made-to-order miniature donuts melt in your mouth and have you craving for more at every bite. Guests can order either 6, 12, 24, or 48 mini donuts which can be custom decorated with any topping. My favorite toppings were S&apos;mores and Chocolate Sprinkles. 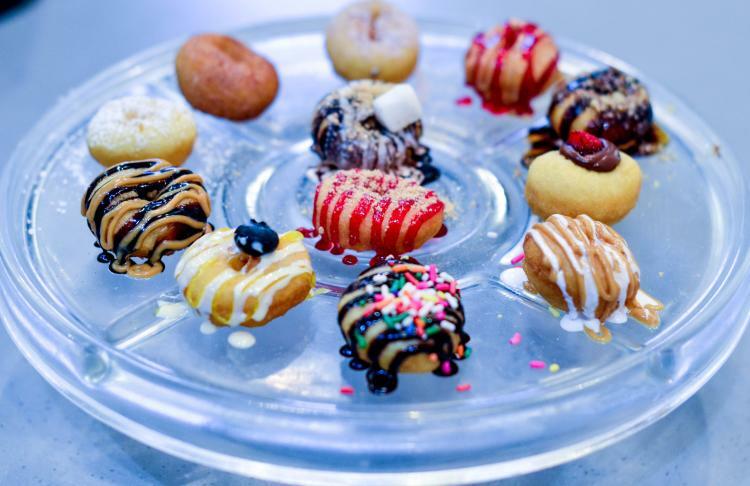 The Dapper Doughnut offers up to 24 different flavors for their mini cake donuts. Pamper the inner child in you by picking up a pack of mini donuts to tide you over during your shopping trip! From something sweet to designer denim! True Religion was my next stop on my shopping spree. If you know me, I am a denim person, so the news of True Religion coming to town had me running to Legends Outlets with double speed my normal speed. It is Kansas City&apos;s one and only True Religion location, which is sprawled across almost 3300 sq feet. It is often a joke that it might be easier to find a date over a weekend than it is to find a good denim fit. True Religion is known for its wide collection of bold styles of premium denim. From curvy skinnies to extended styles they have a category for every denim lover out there. Moreover, their experienced salespeople are there to help you out to sort out all your denim woes. My personal favorite was the Perfect Jean. The True Religion outlet runs exclusive discounts and is a place to stock up on your dream denim. If you have wandered across the Michael Kors store on the Plaza and hoped and prayed for an outlet location, then your prayers have been answered. The only Michael Kors Outlet around town arrived at Legends Outlets Kansas City in June 2018. Ready-to-wear styles for women, handbags, sunglasses, accessories, fragrances are some of the items available for patrons to choose from. Finally, Kate Spade! What could be more iconic to Kansas City than Kate Spade? Katherine Valentine Spade or Kate Spade, as she was better known, was from Kansas City itself. 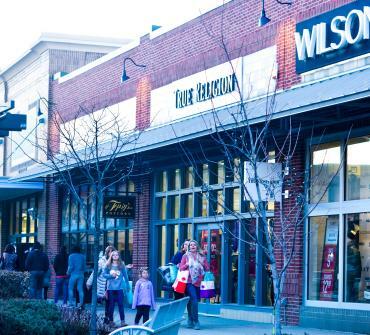 The area’s only outlet of the coveted handbag brand opened in March 2018 in Legends and has become a favorite across the holiday season, by no surprise. But their well-known handbags are not the only items available. They also feature a wide array of clothing, jewelry, and accessories, which personify the designer&apos;s signature style and aesthetics. I had to stop in with my own trusty Kate Spade handbag, as I searched for what I wanted to add next to my collection. I continued my shopping spree to some of the other stores at the mall, until I had got something for everyone at home. 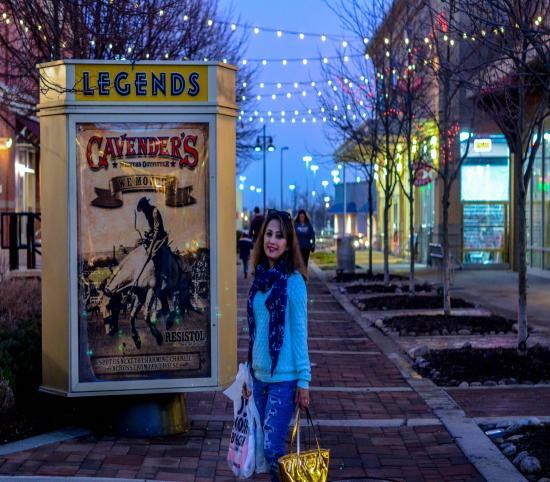 The best part of shopping at Legends Outlets Kansas City is that all these premium labels and stores consistently offer exclusive deals and discounts that can be found on the Legends Outlets website. Savings are always good, and it&apos;s never to early to start shopping for Valentine&apos;s Day, is it? 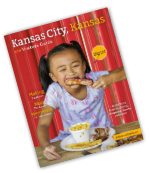 Don&apos;t miss out on the inside scoop on all there is to see and do this year in Kansas City, KS! 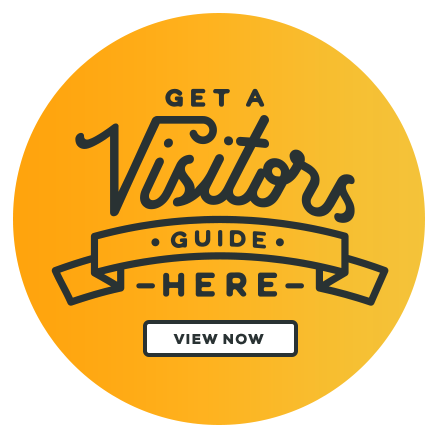 Sign up to join our monthly blog e-mail here. Rwitabhadra(Ritz) is the founder and writer of JOURNOSPEAK, which shares a slice of her life with her readers. She is a former TV Journalist who traded in the television mic to be a Lifestyle Blogger and Stylist. A messy bun is more of her style when she is not sitting front row at Fashion Weeks to scope out the latest trends.. The KC Proud movement is more than just a hashtag for her and loves to promote local small business, restaurants, coffee shops, through her Lifestyle Blog.She is an avid traveler, who loves to recharge her batteries on travels with her family. She completed her Masters in Sociology and is currently working on her second Masters in Integrated Marketing Communications from the University of Kansas. She is married to her high school sweetheart and is mom to her 5 year old daughter and her 6-month-old labrador rescue pup. She has been active in animal rescue since her teenage years along with her brother.